If you work in childcare, it’s probably because you love working with children. This is true for me, but I’ve found working with parents makes my line of work even more satisfying. Even while I enjoy and understand the importance of fostering relationships with parents, it’s often easy to get involved in other ways to grow my company. 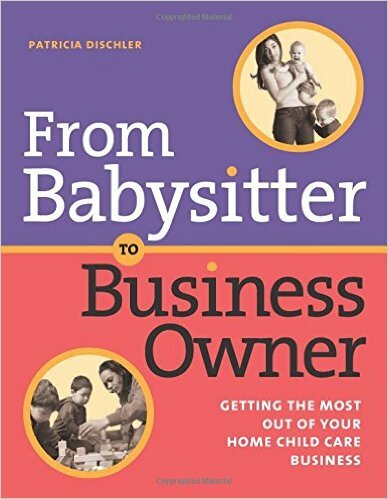 That is why, for me, Patricia Dischler’s book, From babysitter to Business Owner, was a timely and influential read. In it, she helps readers see parents as more than just consumers, but also assets and strong voices that can help owners build a stronger program. Along with this parent-partnership emphasis, Dischler shares much more advice from her own experiences. Other highlights from the book include her focus on professional attitude, ambitions, and presentation. She makes a strong case for keeping an internally focused mindset, arguing that, more than anything else, the business owner’s goals and self-improvement is what will propel his or her business forward. She also gives helpful tips on how to create and maintain a sense of confidence in the midst of a learning curve. And if you need guidance for continuing education, dealing with stress, or getting support, that’s all there too. Even if you’re not a professional running a daycare out of your home, I believe this book is beneficial for anybody wanting to understand effective communication, professionalism in the workplace, and best practices for making any kind of business successful. This book will forever be on my bookshelf to reference for the rest of my working career. I owe a huge thanks to Patricia Dischler—I almost feel like she verbalized my professional aspirations and then created a handbook to help me achieve them. Find From Babysitter to Business Owner here. >>> Have you read Patricia Dischler’s book? Do you have a fave business guide? Rachel Aren is the proud owner and founder of In Rachel’s Care – a Chicago based babysitting and nanny placement agency. Rachel is a small town girl from Michigan, a graduate of Grand Valley State University (go, Lakers), a parenting book junkie and an Enneagram enthusiast.